Several of my experiments have involved piezo elements. While they’re a fairly basic component, there”s a lot that you can accomplish with them in the audio world. One thing that I’ve always wanted to build was an electronic drum trigger to use with creating electronic music. While they’re relatively easy to build, I wanted to see how cheap I could do it with basic materials that you can find at a local hardware store. 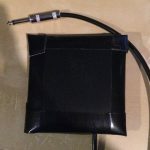 The end product consisted of a small metal electrical cover plate, gaff tape, packing foam, a piece of rubber matting, wire, and the piezo itself. 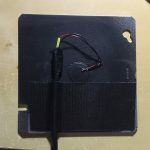 The piezo is glued to the center of the metal plate with a bit of wire connected to it. The other end of the wire goes to a 1/4″ TS connector. The picture to the left is what things looked like before the covering went on. 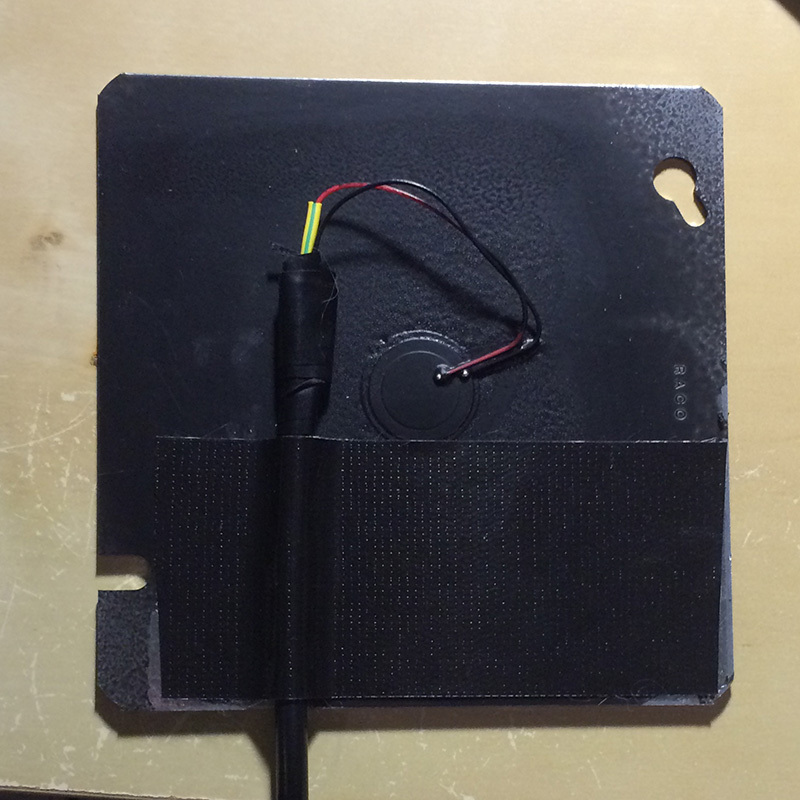 I also sprayed some liquid tape onto the plate and piezo to insulate it a bit but it really wasn’t necessary I guess. This is the finished product. The plate and piezo are covered with a layer of packing foam on each side and then a square piece of the rubber mat goes on one side. The whole thing is then enclosed with gaff tape but the rubber mat is left exposed so that it can be used as a playing surface. I was quite surprised how well this little drum trigger worked! When you hit it with a drum stick, a small electrical pulse is create in the form of an audio wave. You can actually record just the audio from the impulse or you can use that to trigger something else. Either way, it’s nice little tool to have around the studio and it only cost about $5.00 to build it. Feel free to ask any questions about this project if you want to know more about how I did things.